Gabriel has microcephaly, one of the direst birth defects associated with Zika virus. Microcephaly is a malformation of head that is linked to irregular brain growth, learning disabilities, epilepsy and other problems. 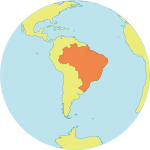 Out of 62 countries that have recorded mosquito-borne Zika transmission in the last year, Brazil has been worst affected. According to the Ministry of Health, by 16 July, there were 1,709 cases of microcephaly and other Zika-related nervous system disorders. The worst-hit states, Bahia and Pernambuco, have recorded 277 and 371 confirmed cases of microcephaly respectively. Marginalized and impoverished women have been disproportionately affected by the outbreak. 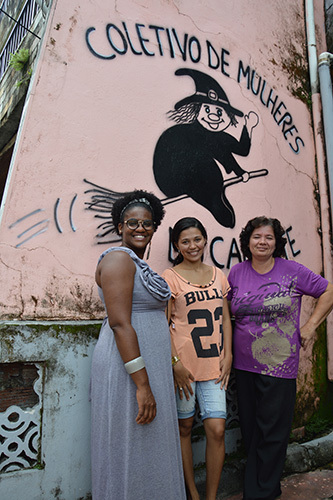 Women like Ms. Alves – who lives on in the neighbourhood of Calafate, on the outskirts of Bahia’s capital, Salvador – were already less likely to have access to reproductive health care, including contraceptives and antenatal care. Now, those with children afflicted by Zika are struggling to find support. "Did you have Zika?” Marta Leiro, a resident in Calafate, asked her friend Eunice. Eunice responded with a bitter joke: "I had Zika. I had everything poor people are entitled to." Ms. Alves was the first mother in Calafate with a baby affected by Zika. A single mother with few resources and even less support, she endured stigma and humiliation. "Prejudice affects us too,” she told UNFPA. “Everyone looks and gossips. At the beginning I was very angry about it, but I no longer care." Her son requires long-term specialized care. But she also needed support. Like Ms. Leiro and Eunice, Ms. Correia is a member of the Calafate Women's Collective, a UNFPA partner organization that aims to end gender-based violence and promote women’s health and rights. 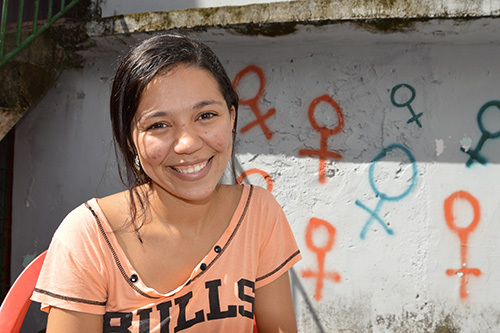 UNFPA is working with the collective to improve local women’s access to reproductive health – including referrals to specialized care for pregnant women with Zika. “From the geographical areas with the highest incidence of Zika virus, in the poor Northeast Region, and the characteristics of the most affected population – women, youth and African descendants – one can reason that the Zika epidemic represents not only a public health emergency, but also the result of the still prevalent social inequalities,” said Jaime Nadal, UNFPA representative in Brazil. “Zika results from the lack of universal access to sexual health and family planning services,” he added. UNFPA estimates that around 4 million women have an unmet need for family planning. And following the Zika outbreak, there has been an increased demand for sexual and reproductive health care. Zika is a constant worry in the waiting room. "Sometimes, we're at the health facility when a mother arrives hiding the head [of her baby] to avoid people looking or asking questions. Some people do it anyway, and the mother feels embarrassed. If she confronts the person, it’s never pleasant," Ms. Santos de Jesus told UNFPA. But she feels fortunate. “Today, I am relieved because the tests confirmed that my baby is in perfect condition," she said. UNFPA is working with state and municipal officials to respond to these increased demands. UNFPA and its partners – including Canadem, the United Kingdom's Department for International Development, the Government of Japan and the Oswaldo Cruz Foundation – are working to improve access to reproductive health information and services, and to increase access to contraceptives. This partnership prioritizes the most vulnerable women, including teenagers and women of African descent, and those living in areas with the highest incidence of microcephaly. Ms. Alves recently became a member of Calafate Women’s Collective. She and Gabriel now have more community support, and when she brings Gabriel to activities, other members of the collective help care for him. At Gabriel’s therapy sessions, Ms. Alves has met other mothers of children with microcephaly. They’ve started to share their experiences at a support group. And she has not given up hope. "My dream is to see Gabriel walking, talking and running,” she said, “so I can complain about his misbehaviour as much as I do with my eldest son."